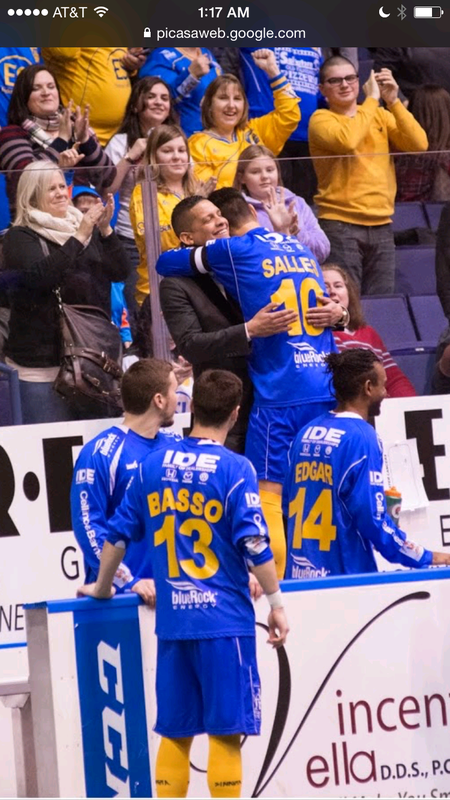 DSC Coach Rey Martinez also serves as the Assistant Coach for the Rochester Lancers of the professional Major Arena Soccer League 2 (M2). The Lancers are set to travel to Ontario, California to compete in their first-ever National Semi-Finals, March 29, with a chance to advance to Saturday’s National Championship! Coach Rey has served as DSC Director of Programming, working with the club’s youngest 3-year-olds in the House Program up to the oldest 19-year-olds in the Travel Program, and all players in-between. His commitment to DSC and his contributions to player growth have been invaluable. After his time competing on the Cuban National Team and also in the MLS, Coach Rey had a long and very successful career as an indoor player and has made a major impact with his coaching ability on the Lancers staff. The Lancers advanced to the semi-finals after traveling to Chicago, March 21st, and knocking off the defending champions and top-ranked Mustangs with a goal three minutes into sudden-death overtime to register a 4-3 comeback win! The Lancers will face the Juarez Cuervos of Mexico in Friday's semi-finals at 1pm PT (4pm ET). Live game streams will be posted on the Rochester Lancers Facebook page and on RLancers.com! Congratulations and good luck Coach Rey! !